BYU basketball • Coach is 2nd in total wins in Cougars' history. 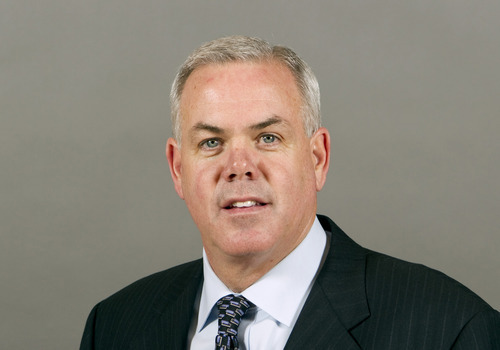 Dave Rose, BYU men's basketball 2010-2011. Provo • It took BYU basketball coach Dave Rose only 134 games to get to 100 wins after he was hired in 2005 to replace Steve Cleveland and resuscitate a program that had just gone 9-21. Against the Saint Mary&apos;s Gaels on Wednesday night at the Marriott Center, Rose was trying to pick up his 200th win in just his 258th game at BYU&apos;s helm. It looked like the coach was going to reach the milestone when Tyler Haws made a jumper with 2.5 seconds left to give the Cougars a two-point lead. But Saint Mary&apos;s quickly inbounded the ball to Matthew Dellavedova, and the Gaels guard drained a 35-footer at the buzzer for the 70-69 win. "He had to make a pretty tough shot to win it, and he did," Rose said. So the coach will try for No. 200 on Saturday when BYU plays host to San Diego at the Marriott Center. All Rose would say about the milestone before the game was that he hoped it would come quickly. "But when people ask me questions about things like that, I think about our players, the guys who have been here, and the coaches who have coached with us. I have been really fortunate to have great players and coaches working with me," he said. Only 14 coaches in NCAA Division I college basketball history have had the chance to get to 200 wins faster than Rose, who is now 199-59 overall. He is second in total wins at BYU behind only Stan Watts, and first in winning percentage (.774). "I am just trying to figure out how to make this team better, and figure out how to win the next game that we play. The best thing about those types of milestones are when they are over and people stop talking about them, and you just move on," Rose said. The former member of Houston&apos;s Phi Slamma Jamma teams entered the game fourth in career winning percentage among active coaches, behind only North Carolina&apos;s Roy Williams (.798), Gonzaga&apos;s Mark Few (.797) and Butler&apos;s Brad Stevens (.785).